Basically: Full of fun, adventure, and a few solid scares—put your crowns on! 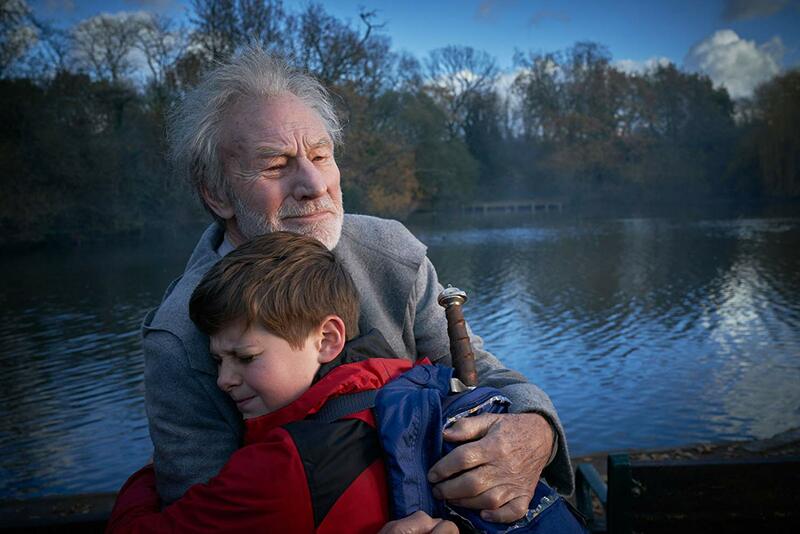 A kid discovers he is King Arthur’s true heir, and must save Britain with a rag-tag group of “friends” and Excalibur. You may think you know the story but this version is unique, fun, and well-crafted. I enjoyed the heck out of it and I am not the audience it was aimed at. That’s hard to do—breaking across age barriers to entertain without going over younger heads and boring the older ones. There isn’t much waiting around for the story to start (thankfully) and when it does it takes off like a shot. We all know the original, a boy pulls a sword from a stone…but the story we know doesn’t involve a mom who doesn’t approve, bullies who steal the sword, or flaming skeletons. 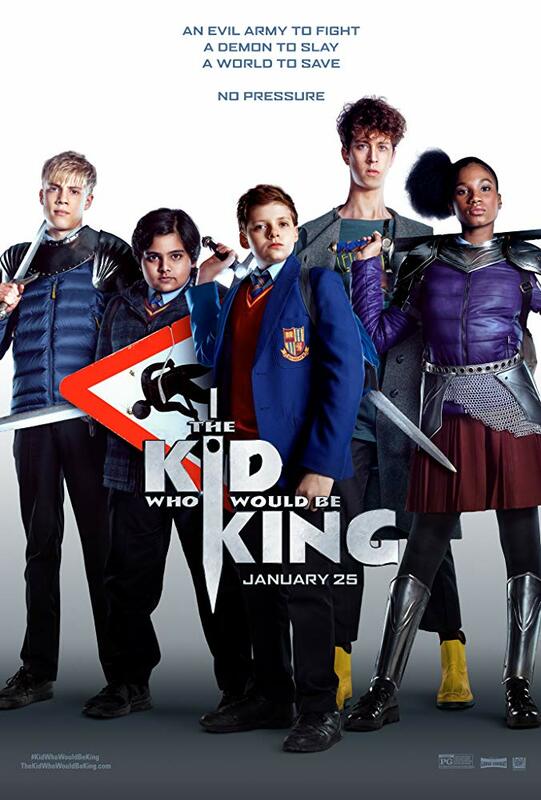 Louis Ashbourne Serkis (son of Andy Serkis) plays Alexander Elliot, the would-be king, who is brave but bullied. His friend, Bedders (Dean Chaumoo) is even more out of place than Alexander is. He is a kid and plays this role like one, which is charming and engaging. Photo © TM & 2018 Twentieth Century Fox Film Corporation. with a magical sword is knight your best friend. These kids are kids, the adults are adults, and when we need the adults out of the way the movie gives us something easy to accept. 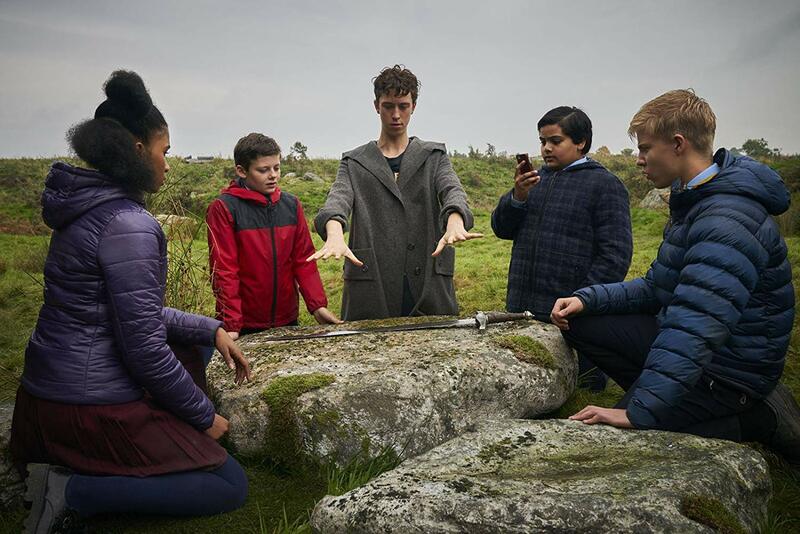 The Kid Who Would Be King is also full of fun, adventure, and a few scares from some solid visual effects to keep you on your toes. Angus Imrie, who plays Martin/Merlin is wonderful! Some of his lines would feel over the top if they weren’t delivered by this quirky, adorable chameleon-like actor. Every scene he’s in will make you smile and sometimes laugh out loud! Imrie’s ability to switch between serious intensity and lightness says much about his skill—sometimes awkward moments are the most revealing. And when the Merlin character is not young, he’s played by Sir Patrick Stewart, which is a REAL treat! One criticism I’ve had for the current spate of films from Hollywood is the lack of solid storytelling. Which might be supported by the fact this is a British-American venture. Joe Cornish as both writer and director delivers. The Kid Who Would Be King is a great story, well-crafted with lots of humor, personal moments, and rolicking adventure, but it is the unerring optimism that keeps us rooting for the heroes all the way through. Perhaps the most important takeaway from this movie is its message about what it means to lead and what being a hero is about—which is delivered with a deft light touch. Cornish trusts his young audience to “get it” and that is what makes this film stand out. In the End: If you are looking for a fun romp (with the kids or without) put on your imaginary crown and take in this charmer!